Thanksgiving may seem like a great holiday, getting together to eat turkey and side dishes followed by football on the tv and dad naps in a recliner. For Native Americans, this is a day of mourning the death of ancestors and the loss of their land. Some may choose to only eat native traditional meals, like three sister stew and frybread. The day after Thanksgiving is known as Black Friday, a day for major sales, but it is also Native American heritage day to remember the culture and be observed by others. 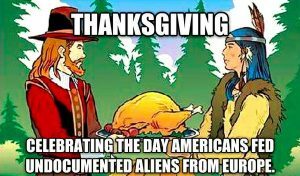 Most people think Thanksgiving is a time for forgiveness and family, in my eyes being of Native American heritage I see it as a time where my people were killed by people invading their home and bringing diseases they had no idea about causing them to get sick and die. 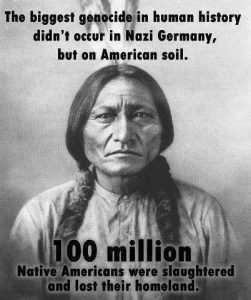 America still needs to face the facts of genocide and human injustice that corrupt the foundation of our nation today. 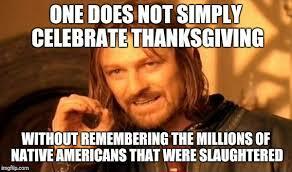 Generations of natives were sacrificed to the white man’s “manifest destiny” of progress. Today children learn about the nice Natives who helped the first immigrants “discover” America by showing them how to grow corn and other crops . Nonetheless, they were still seen as a lower class of people. People state that America is a nation of immigrants and that immigration needs to be “regulated” but they forget that EVERY SINGLE person that is not 100% Native American, is an immigrant into our land. Indigenous heritage in America has long been neglected. 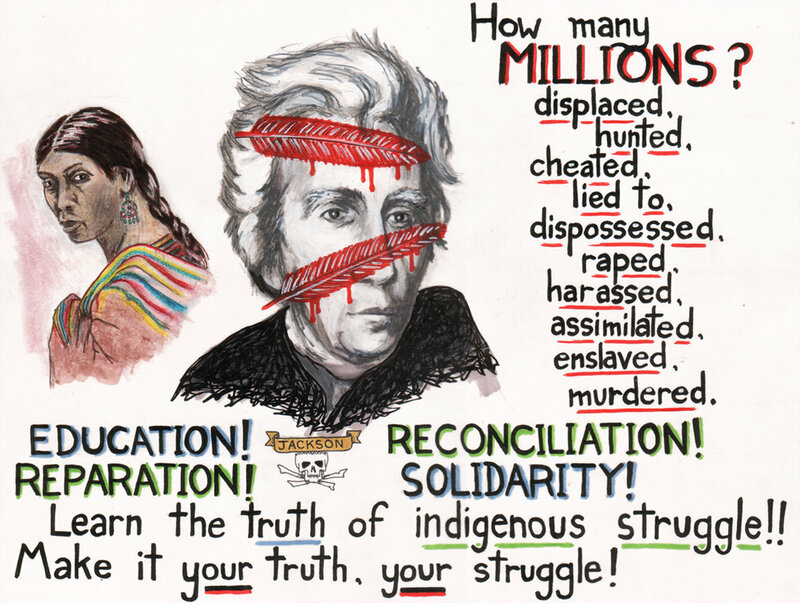 In our modern day people talk about being proud to be American or being ready to “make America great again” but awareness of the injustice of deforestation, forced deportation, war, and occupation of another peoples lands to make it their own is the first step towards finding justice. Justice begins when we look beyond selfish thinking. People refer to the first people of the land as “Native Indians” they aren’t looked at like Americans when they are truly the face of America. The European claims on lands known as America have been dominant for over 400 years and for all of that time Native Americans were looked as less. In the year 2018 the first Native American women were finally elected into the house of representatives. There is hope for justice and equal voice.